GeoPoll, the world’s largest real-time mobile survey platform, is announcing a strategic partnership with Control Union, global leader in agricultural certifications, food safety, and sustainability. Partnering allows Control Union to tap into GeoPoll’s multimodal mobile platform and database of 200 million users, giving them access the fastest and most cost effective data collection method available in emerging markets. 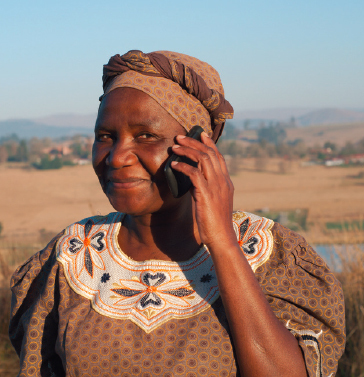 Together, GeoPoll and Control Union will utilize mobile surveys to engage and educate smallholder farmers in emerging economies in Africa and Asia, with the goal of reaching 1 million farmers by 2020 via SMS and voice messaging. The partnership will allow commercial organizations such as global brands, exporters, and suppliers, as well as governments and non-profits to ensure social compliance in key value chains and to empower farmers to gain greater access to markets, ultimately adding value for both farmers and consumers. Certification Surveys: Mobile survey instruments which will monitor farmers’ compliance with programs such as Global GAP and Organic certifications. Value Chain Monitoring: Mobile survey instruments that will serve as a tool for sustainable value chain design and monitor social, economic and ecological impact. Compliance Messages: One-way push content messages promoting agricultural compliance. Custom Surveys: Mobile survey instruments with customized questions and design, allowing clients to collect mobile data which will inform and enhance their operations in local markets. The partnership will initially focus on countries in Africa including Ghana, Kenya, Nigeria, Ethiopia, Tanzania, and Uganda, expanding to key markets in Asia including Indonesia and the Philippines. With consumers demanding increased transparency, target value chains include coffee, cocoa, cotton, palm oil, rice, tea, tobacco, and fresh fruits and vegetables.